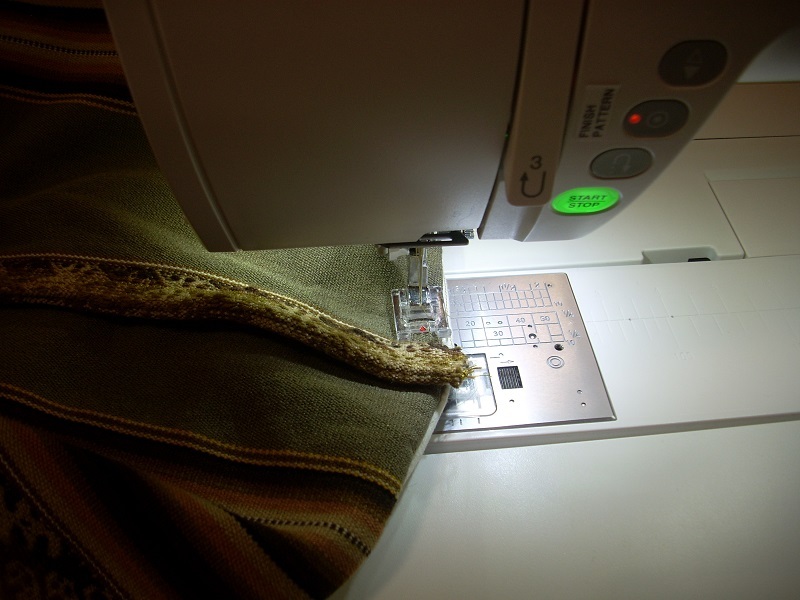 See the Sewing/Crafts section of my main Table of Contents for other sewing projects! For example, $\,h + 2\,$ means $\,h\,$ inches plus $\,2\,$ inches. 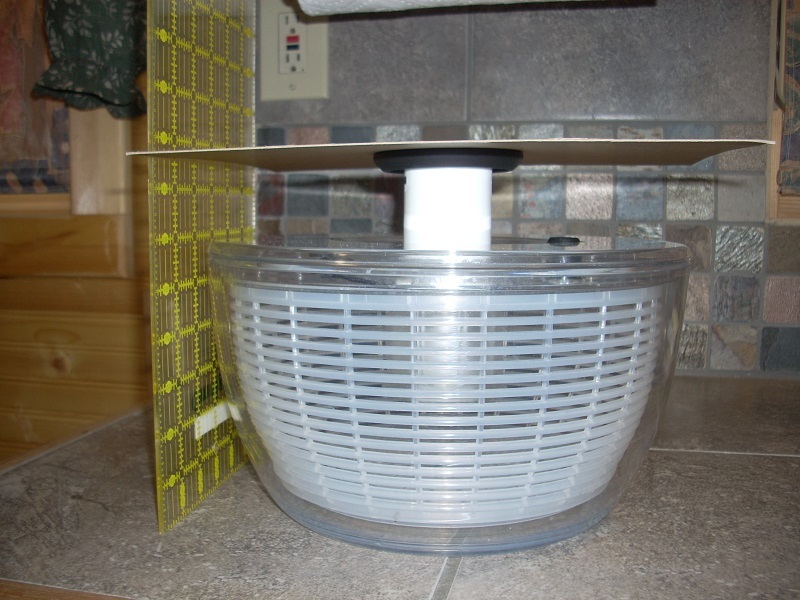 Trace around the widest part of your appliance. Make dashes about 1" further out (measure). ‘Connect the dashes’ to make a continuous cutting line. With a flexible ruler (or math, as appropriate), measure the perimeter; call this length $\,p\,$. Measure the appliance height, from bottom to the highest point. I sometimes use a rigid ruler and piece of cardboard for this step. 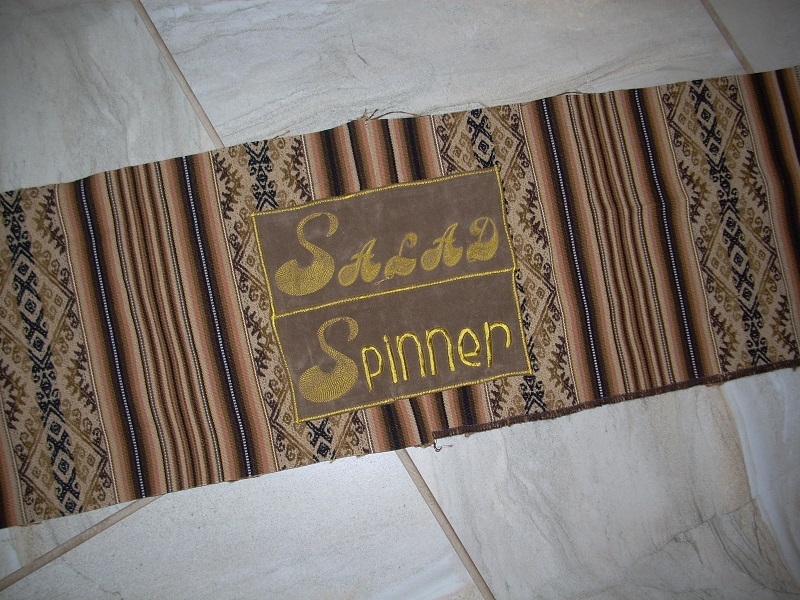 Sew on an (optional) label. 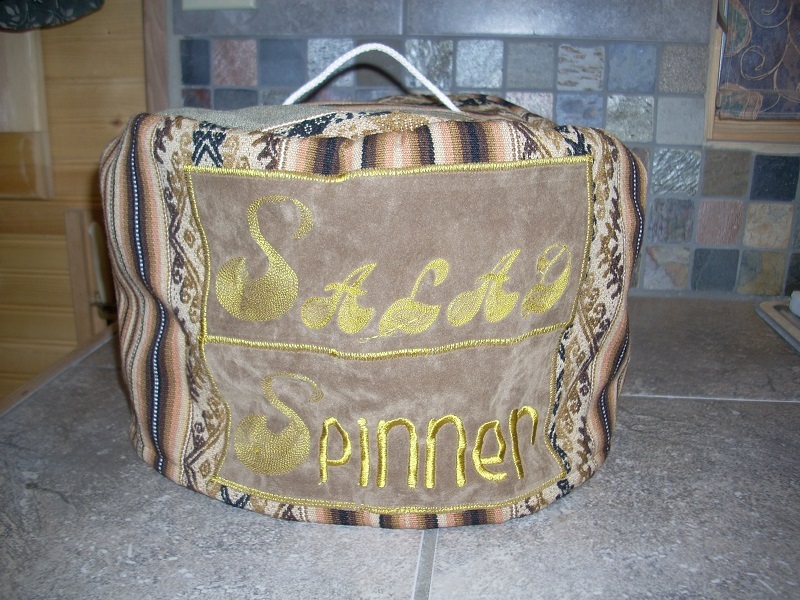 You could also embroider directly on top/side fabric. Think carefully about label placement! 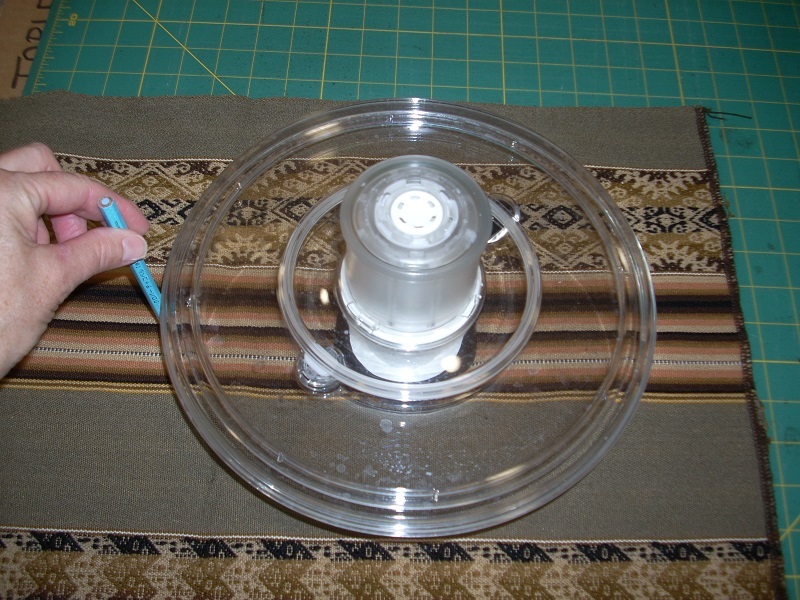 If desired, sew on a short piece of cord/ribbon for a handle/hanging cord. 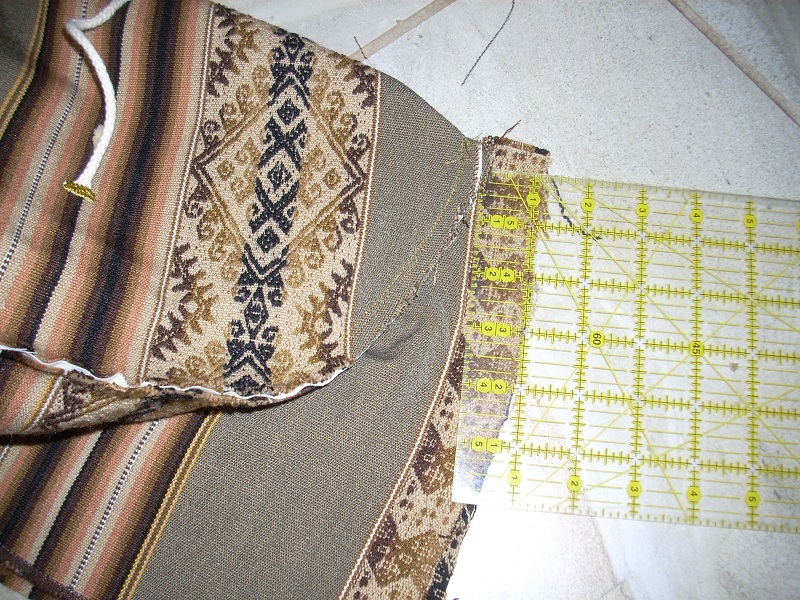 To line top and/or side, use identical-size pieces of lining. I often pin (WRONG sides together), machine-baste, and then cut. 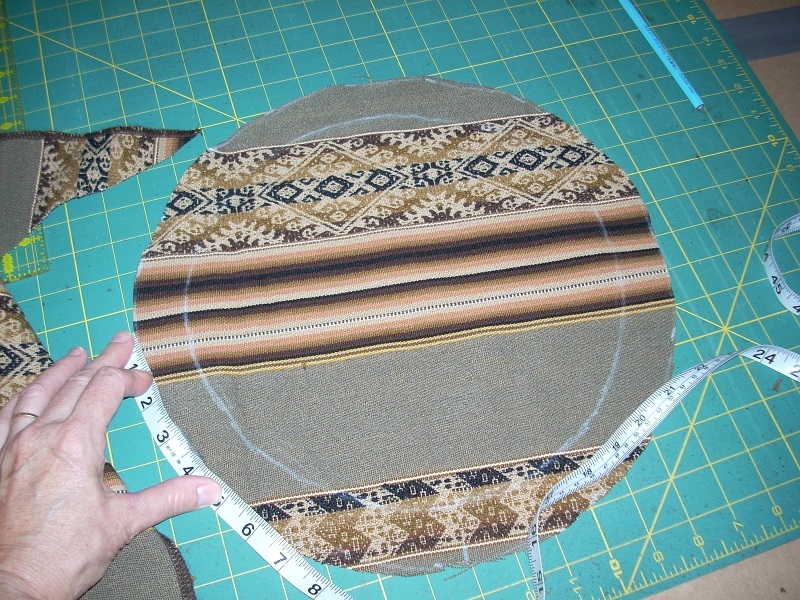 Put a DOT at center back of top piece (right side), 3/4" from edge. Start 1" in on the long end of the side pieceNOT the very end!! With WRONG SIDES together, PIN side to top, starting at $\,D\,$. If you have tight curves, pin generously. You should have about 1" left when you reach $\,D\,$ again. 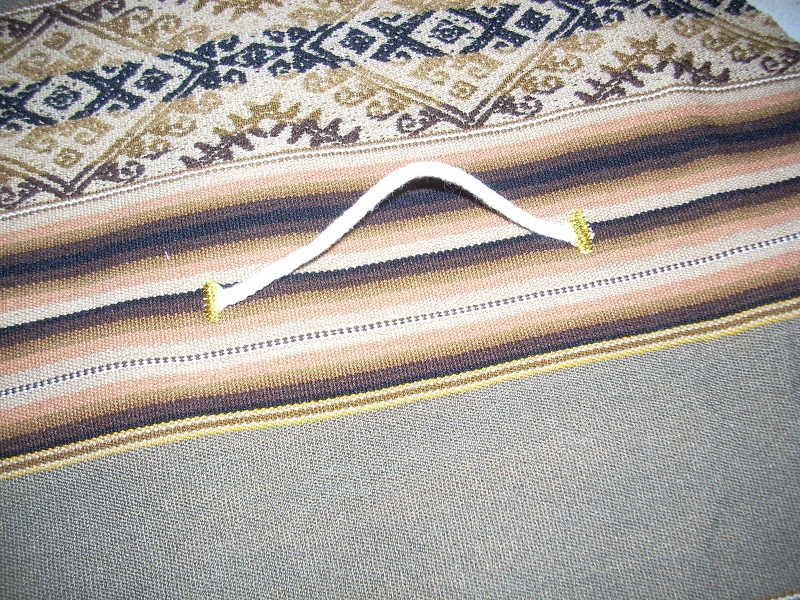 If your side piece was too long, TRIM so that there is 1" on both ends. (Below, I refer to this as the ‘one inch overhang’). 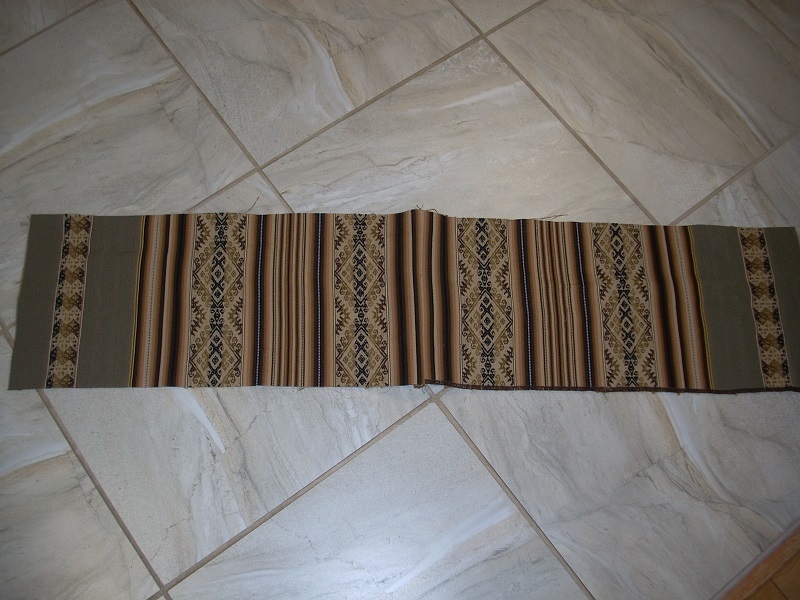 Stitch from top to bottom, 1/4" from outer edge. ‘Invert’ the cover, so that RIGHT sides are together. stitch along the very inside edge of the one inch overhang. 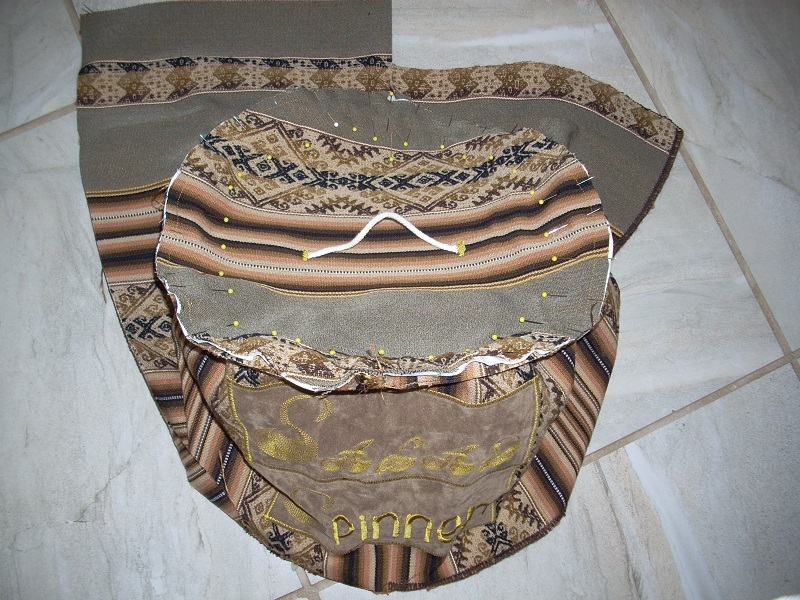 This encloses the side raw edge, finishing the side French seam. 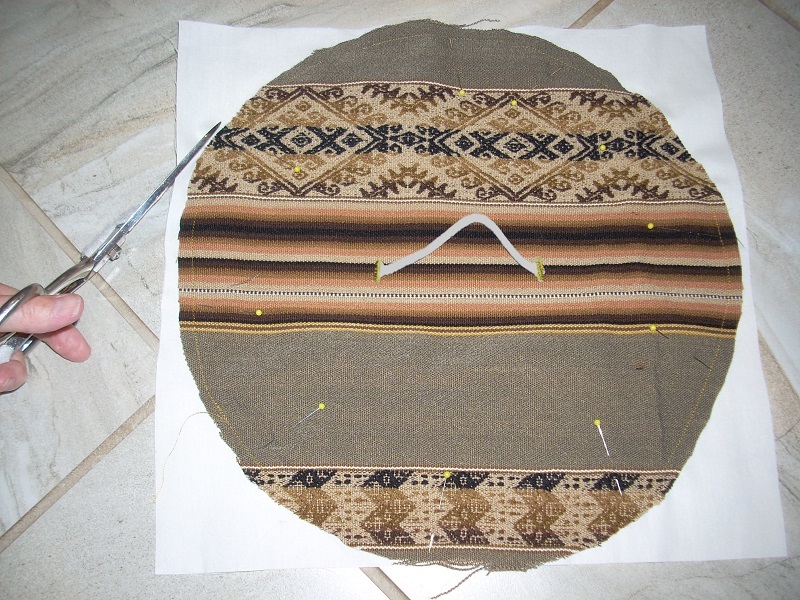 Still with RIGHT sides together, stitch the top-to-side seam. 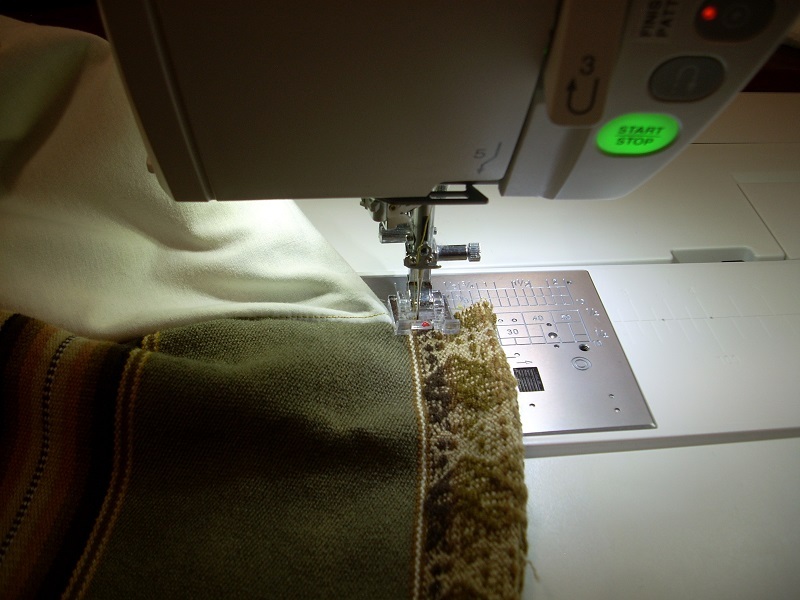 Note: You'll stitch over the completed French side seam, as shown. This encloses the top raw edges, finishing the top French seam. Note: It may be thick near $\,D\,$, due to several layers of fabricbe careful! If so, then stitch again, a little further in from the edge. Turn up the bottom edge and zig-zag. 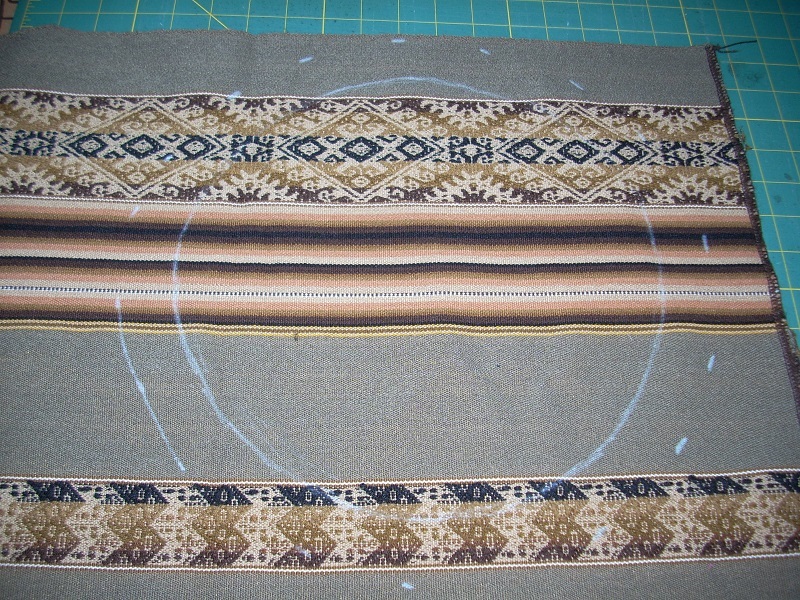 Turn up again and stitch (straight/zig-zag/decorative, as desired).